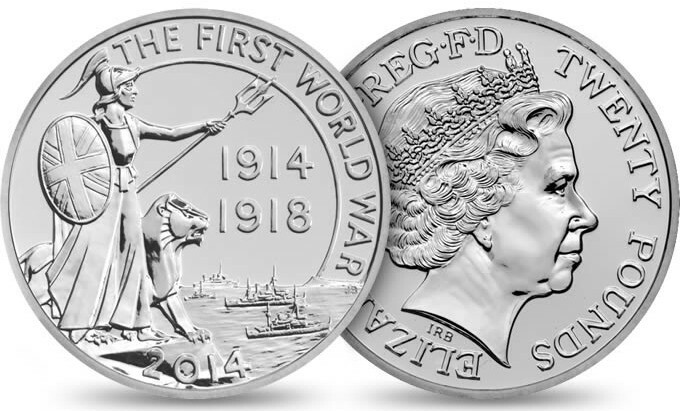 The second £20 coin made from fine silver, marking the centenary of the outbreak of the First World War. 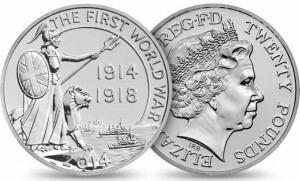 The design features Britannia watching over the first troops as they set sail across the channel on the eve of war. Alloy 999 fine silver. Weight 15.71g. Diameter 27 mm. Maximum Coin Mintage 250,000. This entry was posted in World Coins, World Coins Silver by Electa. Bookmark the permalink.